Mattar Al Tayer, Director-General and Chairman of the Board of Executive Directors of the Roads and Transport Authority, RTA, has launched the Smart Customers Service Centre that operates 24/7, the first of its type across Dubai Government. The opening of the centre is part of RTA’s strategy to achieve its first goal (Smart Dubai) and third goal (People’s Happiness). Al Tayer said that the opening of the centre illustrates RTA’s efforts to realise the vision and directives of His Highness Sheikh Mohammed bin Rashid Al Maktoum, the Vice President, Prime Minister and Ruler of Dubai, and H.H. Sheikh Hamdan bin Mohammed bin Rashid Al Maktoum, Crown Prince of Dubai and Chairman of Dubai Executive Council, for transforming Dubai into the smartest city worldwide. "The way to achieve this objective is to deliver services that surpass customers expectations and make people happier. The RTA has a firm commitment to improving services, simplifying procedures and saving transaction processing time to bring it at par with the top international practices," Al Tayer said. Al Tayer was briefed by RTA officials Yousef Al Rida, CEO of Corporate Administrative Support Services Sector, and Ahmed Mahboub, Executive Director of Customers Service about the Smart Customers Service Centre. The centre has two self-service machines (Smart Kiosk), which provide a range of services for licensing of drivers and vehicles as well as services related to NOCs. It also has a top-up machine for Salik and related inquiries, and an ATM enabling clients to use their eWallets with the RTA. 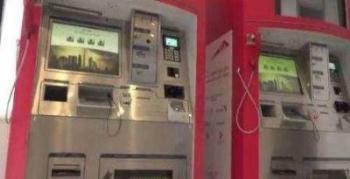 There is also a corner equipped with computers to enable companies to submit their transactions to the RTA as well as a vending machine that serves beverages and snacks.